We all remember what Gabriel Knight said when you tried to combine two incompatible items: “Nope, those don’t work together.” There was a time when combining ‘adventure games’ and ‘PlayStation’ would elicit just that response. But ever since Heavy Rain released as a PlayStation exclusive, more and more adventure games have come out on Sony’s consoles, and the trend doesn’t show any signs of slowing down. 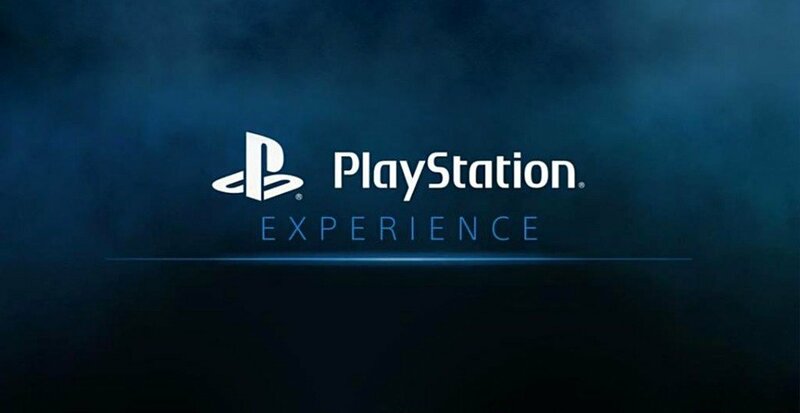 At the recent PlayStation Experience (PSX) event in San Francisco, I checked out five adventures worth paying attention to when they release next year. Don’t own a PlayStation 4 or Vita? Never fear: all but one of these are also coming to desktops. Like this year’s Grim Fandango re-release, Double Fine’s upcoming Day of the Tentacle Remastered is a faithful, high-quality update of the LucasArts original. For the uninitiated, DOTT is a 1993 comedy by Tim Schafer and Dave Grossman about a mad scientist, three time-traveling teenagers, and some evil tentacles out to take over the world, ranked #6 in Adventure Gamers’ 100 All Time Adventure Games list. Emily poses with a (friendly?) 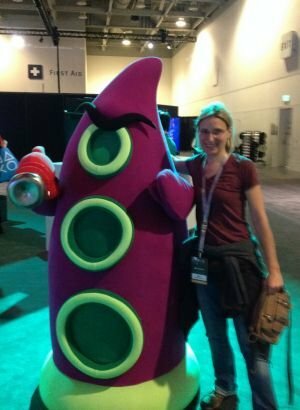 Purple Tentacle at Double Fine’s booth. DOTT Remastered’s artwork has been completely redone, but you might not realize it at a glance. Double Fine’s artists redrew all of the game’s backgrounds to achieve sharp lines and smooth curves for today’s high-res displays. Prefer the original pixelated look? With the press of a button you can switch between the old and new graphics, just like in LucasArts’ Monkey Island remakes of a few years ago. The other significant change is in the interface: for both the classic and remastered graphic versions, you can choose between the original verb bank at the bottom of the screen, or a verb wheel à la Full Throttle (select a hotspot and the available actions display in a cluster of icons). Using the gamepad, I found the verb wheel much more comfortable than moving the cursor to the bottom of the screen to select “talk to” or “look at,” but die-hard fans might prefer that old-school method, especially on a PC with a mouse. Animation is on par with the original, while the voice acting—uncompressed and re-edited from the original recordings—sounds crisp and meshes beautifully with the new artwork, with no hint of the 20-plus year gap between their creations. During PSX, Double Fine announced that after Day of the Tentacle Remastered releases for PS4, Vita, PC, and Mac in March, they’ll give Schafer’s Full Throttle the same treatment. Once that’s complete, is there any chance we’ll see a sequel to one of these classic titles? Probably not, Tim says, as long as Disney owns the IP—he’d rather make sequels to games he has complete control over, like Psychonauts. After The Walking Dead: Season One took home every Game of the Year award known to man, project leads Sean Vanaman and Jake Rodkin quietly left Telltale to form their own studio, Campo Santo. 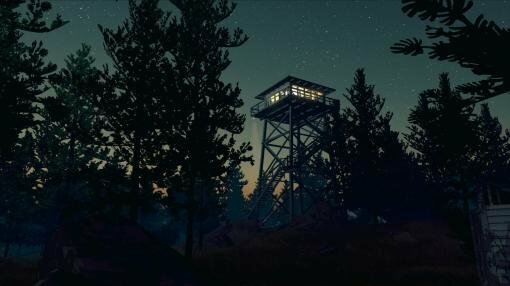 Their first game, Firewatch, is coming to PS4, PC, Mac, and Linux in February, and if you liked The Walking Dead’s writing but hated its lack of freedom, this is a game for you. Set in the Shoshone National Forest in Wyoming, Firewatch is a first-person game with two prominent characters: rookie fire lookout Henry and his boss Delilah, whom he communicates with over a walkie-talkie. The PSX demo took place during Henry’s first day on the job. From his lookout tower he spots fireworks, an obvious danger in the woods, and Delilah tells him to find and stop whoever’s setting them off. It’s time to get lost in the woods. 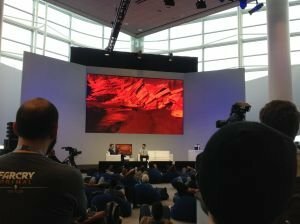 Sean Vanaman describes Firewatch to a rapt audience at PSX. While you’re exploring this vast 3D world, Delilah gives hints over the radio about which way to go and how to access lockboxes with supplies. She’s a bit like Portal’s GLaDOS, giving instructions and sometimes piping up with a non sequitur to break the silence. You can decide how to respond, with some responses time-limited and often with the option to say nothing (which may have its own consequences). The forest has a stylized, pastel look inspired by the art deco WPA posters of the 1930s and 40s. As Henry moves, you see his hands and occasionally his body but never his face—you’re seeing the world through his eyes. He carries a map that updates as he visits new areas, as well as a compass. You can refer to these while you walk and you’ll also pass landmarks and marker signs to help you get your bearings, but there’s no map overlay or quick travel option to aid the directionally challenged. Beyond exploring the forest and reporting back to Delilah, Firewatch has some real-world puzzle solving. (For example: find a rope in a lock box, then use the rope to scale down a ravine.) As Henry comes across useful items he puts them in his pockets—an inventory you can access with a press of a button. The first-person perspective, open world, and direct controls give the feel of a shooter, but actions such as hopping over a fallen log or climbing a rock wall are handled with simple button pushes. The demo didn’t include any QTEs, just “press X to climb”-type actions. When you find the teenagers setting off fireworks, there are various ways to deal with them. In my playthrough I asked them nicely to stop; later I watched another player throw the teens’ radio in the lake. Similarly, you can choose how to respond to Delilah’s questions and even decide which details about what you’ve found in the woods to radio back to her. Like Lee Everett’s choices toward characters such as Larry and Clementine influenced the player’s overall experience in The Walking Dead, how you choose to play Henry will likely influence his rapport with Delilah and craft a personalized experience, however subtle. Henry’s dialogue with his boss is snappy and often funny, and even this brief look made clear that their banter is a large part of what makes Firewatch special. And though the demo was more or less a day in the life of a fire lookout, Delilah’s awkward apology for her drunken greeting upon Henry’s arrival, a mysterious figure lurking in the distance, and the discovery that Henry’s lookout tower has been vandalized in his absence hint at a more complex story waiting in the woods when Firewatch releases on February 9th.